Oxford academic Nick Bostrom has come up with a startling piece of statistical reasoning that is well worth considering the next time you’re stuck in a traffic jam on a motorway or dual carriageway. It’s not just your frustrated imagination: the cars in the other lanes really are going faster than you. Of course it’s not always true that you’re in the slower lane, but the law of averages means that most of the time, in most jams, you’ll spend the bulk of your time in the slower lane. 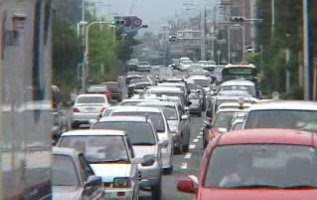 This is a simple result of the fact that the slower lane is the one that tends to have a greater density of cars in it. From the perspective of the jam as a whole, you are an unremarkable random motorist. And since there are more cars in the slower lane, the chances are that you will be in the lane with the most vehicles in it. All travelling slowly. It stands to reason. The solution, therefore, is clear. To make better progress, don’t sit there like an idiot. Change lanes. And don’t just change lanes when you think your lane is slower – change lanes whenever you see a gap that will accommodate you in another lane, whether or not it happens to be making better progress than your own at the time. According to Bostrom, statistics decree that this will get you out of the jam quicker. Apparently. Why is it that we suspect Bostrom drives a BMW 3-Series?